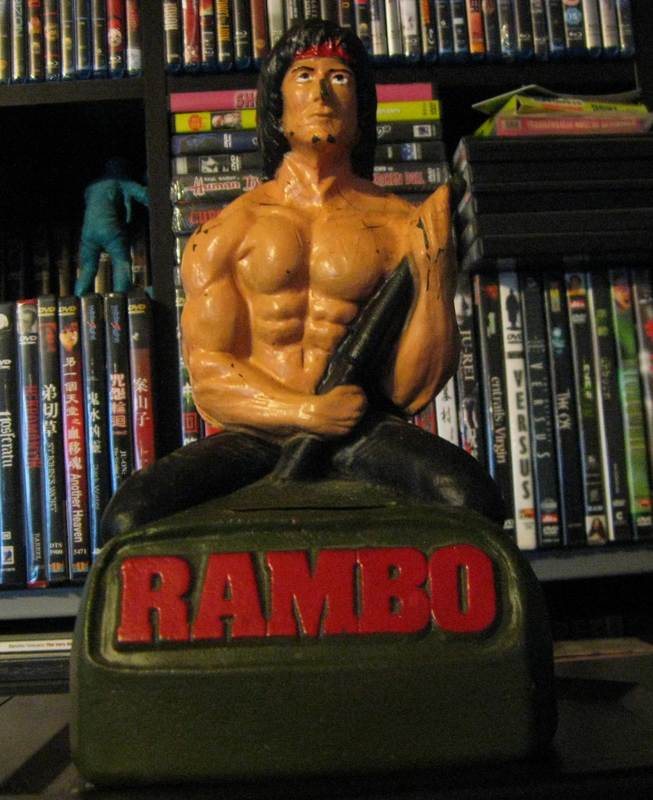 Picked up this completely unmarked plastic Rambo bank for a dollar earlier today. I can't find any information about it, but the paint job seemed shoddy to begin with and is beginning to crack. The bank stands about nine inches tall and is five and half inches in width at its base. The bottom white stopper says "Niagara Plastics, Erie, PA" and his machine gun's barrel is intact. "NOTHING IS OVER, because I have $8.75 in spare change!"